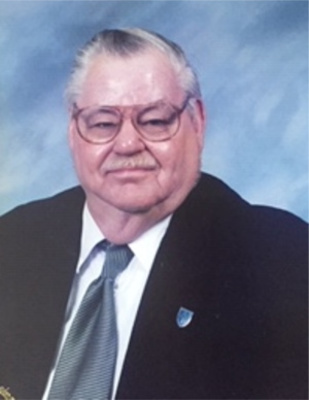 Bruce H. Jones, age 83, of Lancaster passed away on February 1, 2019 at Lancaster General Hospital. Born in Ashland, PA he was the son of Harry E. and Lillian (Rineer) Jones. Mr. Jones was employed in Building Services for Armstrong World Industries and prior to that with Asplundh Tree Services. He had been a Den Leader with the Cub Scouts and a member of the Civil Air Patrol. He is survived by his children, Deborah L. Clerico, Bruce H. Jones Jr., Peggy A. Galitzky, John P. Jones, Garry F. Jones, and Casey A. Jones; 8 grandchildren; 5 great-grandchildren and his wife Anita Johnson Jones. Services will be held Thursday, February 7, 2019 at 2 p.m. at the Mausoleum Chapel at Conestoga Memorial Park 95 2nd Lock Rd. Lancaster PA. Burial will follow the service at Conestoga Memorial Park. My sympathy to the Jones family. Sorry I can’t be there for the services, but you all are in my thoughts and prayers. Bruce and I grew up almost like siblings instead of cousins. I am so sorry for your loss. My love touyou all! My deepest sympathy to the entire Jo es family.. Bruce was one of my fav cousins…Have such wonderful memories of us growing up…You’re in my thoughts and prayers at this sad time. My thoughts and prayers are with all of you. I remember all the good times spent with your family that I always felt a part of. We are so sorry to hear of his passing. Our condolences to everyone. May he rest in peace. I,m so sorry to here about Bruce. My love and prayers to the Jones family . I know he loved you all and was proud you all. Thoughts and prayers for all family and friends. I’m am so sorry for your loss. I didn’t hear about it till today. He was such a hoot when I was growing up.